ABC is updating its iOS app this week to support live streaming of shows, including programming from local stations—but the move doesn't cut the cord as decisively as it seems at first blush. Users in New York and Philadelphia will be the first to get access to renamed app, Watch ABC, sporting the "Live" button that streams programming from local stations. Support for other markets is scheduled to be added this summer, as ABC cuts new deals with the companies operating its 200-plus affiliates across the U.S. Although ABC’s signals are free to watch over public airwaves, the live stream option is available only if you’re a paying subscriber of a cable or satellite provider. The app will still stream shows on demand, but ABC will will withhold the most recent free episodes from its website and Hulu.com, releasing them first through the app. The live streams from ABC’s iOS app won't have different ads from the TV versions. Instead, they will serve up digital ads similar to what’s shown on ABC.com. ABC accelerated its plan for live streaming from a planned 2014 launch, according to The New York Times report. Most likely this is due to the rise of startup services like Aereo, which let you stream live over-the-air channels on mobile devices starting at $8 monthly, as well as record shows and stream on demand from remote servers. Broadcast networks like CBS, Comcast, News Corp, and Disney say services like Aereo are illegal, and even sued the startup without much luck. Some networks are even threatening to stop over-the-air broadcasts of their programming if Aereo isn’t blocked. ABC’s latest move seems to preempt the expansion of Aereo, which will launch in Boston this week. CBS also made a “strategic minority investment” in Syncbak, a company streaming live television to mobile devices, although with a much more limited selection. While some broadcasters are finally begin to incorporate live streams into their apps, this is not necessarily good news for consumers. 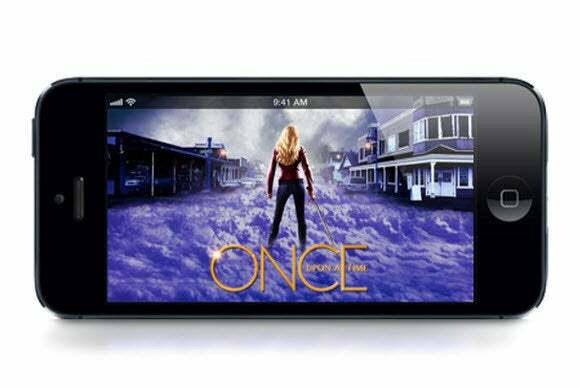 In ABC’s case, you must still pay for a cable subscription in order to watch ABC live on your phone or tablet. When ABC yanks its currently free shows from the likes of Hulu, this locks viewers into a contract with a cable or satellite provider, even if you've dumped your TV for a mobile device that supports viewing on demand.